Computer science is all around us, at school, at home, and in the community. This book gives readers the essential tools they need to understand the computer science concept of data organization. Brilliant color photographs and accessible text will engage readers and allow them to connect deeply with the concept. The computer science topic is paired with an age-appropriate curricular topic to deepen readers’ learning experience and show how data organization works in the real world. 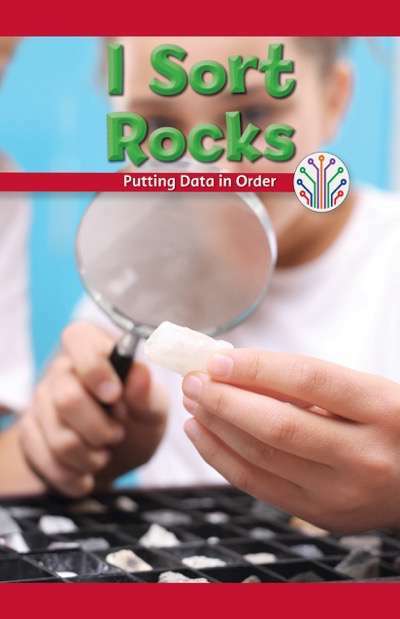 In this book, readers will learn how to sort rocks by color. This nonfiction title is paired with the fiction title The Princess and Her Gems (ISBN: 9781538350164). The instructional guide on the inside front and back covers provides: Vocabulary, Background knowledge, Text-dependent questions, Whole class activities, and Independent activities.